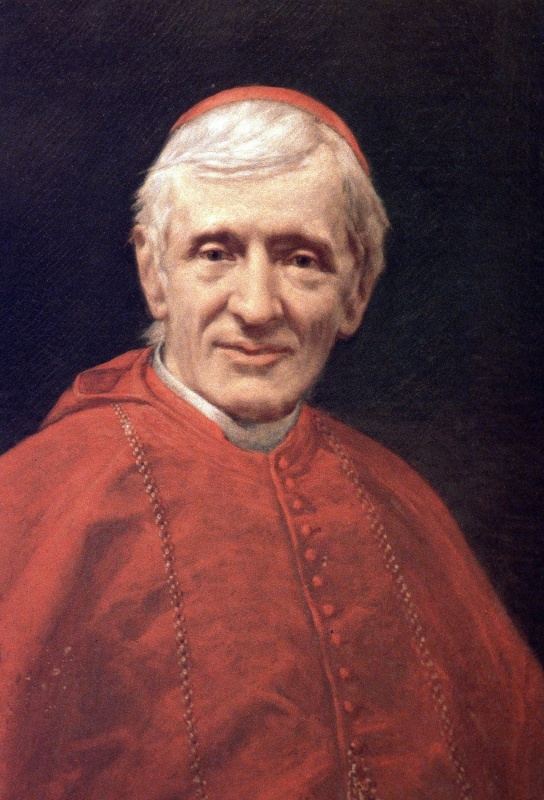 The Newman Center is named after John Henry Cardinal Newman (1801-1890) who was originally an Anglican priest and then converted to Roman Catholicism in 1845. Newman was named Cardinal by Pope Leo XIII in 1879. He was involved in the founding of the Catholic University of Ireland, which is now University College, Dublin, and is part of the largest university in Ireland. Newman was a prominent theologian and an influential writer in the Catholic Church. His determined search for truth has made him widely known for his writings in the areas of theology, philosophy, and education. Newman was proclaimed venerable in 1991 and then, after a confirmed miracle, he was beatified on September 19, 2010. Our Newman Center is part of a larger network of Newman Centers all over the world. The first Newman Club was founded in 1888 at the University of Oxford. The first American Newman Club was at the University of Pennsylvania in 1893. All Newman Centers are now known as places that provide services and ministries to Catholic students at non-religious affiliated universities. While Newman Centers are known for ministering to Catholic students, all students are welcome to come participate in activities and take part in any services that are offered.